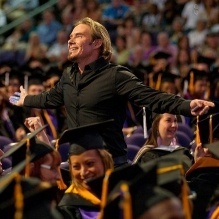 As an internationally recognized graffiti artist, and a #1 best selling business author, Erik redefines the term “keynote speaker.” Pulling from his history as both a business strategist and an artist, he has grown to become one of the most sought-after corporate speakers available today. Erik’s on-stage painting seamlessly becomes a visual metaphor to the core of his message, encouraging organizations toward profitability through innovations and superior levels of performance. His list of clients includes AT&T, Disney, London School of Business, Microsoft, FedEx, Exxon Mobil, Ernst & Young, and XPrize; Erik has even been featured as a TEDpresenter. The responses received have been nothing short of incredible, with standing ovations to prove it. After a eight-year career as a partner in a corporate firm, he became frustrated by the lack of innovative thought and corresponding profits he saw in business. So he set out to challenge companies to change their way of thinking, while simultaneously pursuing his own individual passions. He rediscovered his love for art, and now plays in the business world by working through his art. In the past 10 years, he has shared his incredible message with the largest and most influential companies in the world, leaving behind his prized artwork as a reminder of his passion for breakthrough thinking. He’s the Warhol of Wall Street, the Renoir ofROI, and the Picasso of Productivity. Somehow we’ve come to believe that creativity is reserved for the chosen few- the poets, the painters, the writers. The truth is bigger and better than that. Creativity is in all of us. We simply need to rediscover the keys that will unlock our potential. UNthink is the keynote experience that will push members of your organization beyond their traditional thought patterns and habitual levels of performance. 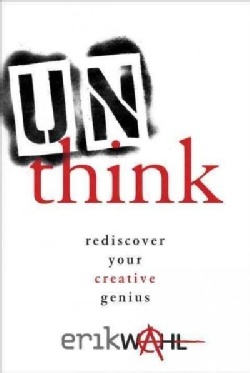 UNthink will inspire audiences to realize they are capable of so much more than they have been led to believe.